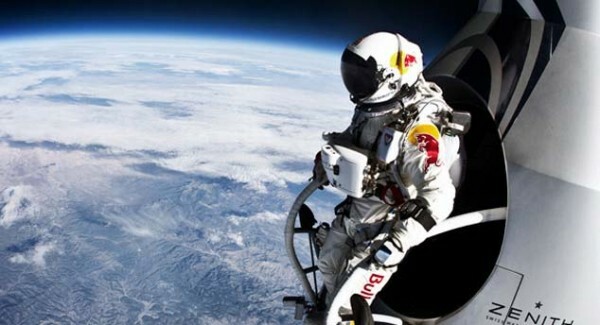 Social Media Case Study: How do Red Bull use it? Red Bull is the best in the world at creating a buzz. They literally dropped a man from space. From sponsoring extreme sporting events, running television programs, to owning sports franchises, and even having a human-powered flying machines competition, Red Bull has changed the landscape of the marketing industry. Simply, Red Bull has taken an average product and made it a winner. Lets look at how they did it. They are a publishing empire. Time to blow your mind. I can’t say that their product is above the competition, but their marketing is in a category of its own. Red Bull has a print magazine, The Red Bulletin, which has subscriptions around the 5 million mark. They are an energy drink. They run several action sports television series that run exclusive deals with paid-specialty channels. They are an energy drink? Red Bull even released a full-featured film, The Art of Flight, that cost a reported $2 million to make, but when it hit iTunes in 2011, it hit the top of the charts earning around $10 per download. Red Bull almost seems like a media company that also happens to sell an energy drink. What they have done is expand into content marketing and drive an innovative approach that pushes our boundaries of marketing. Red Bull’s priority is to promote a lifestyle and that is what they base their content strategy on. It has become bigger then a product, but rather an entity of excitement and extreme/action sport. They are giving something to the consumer. We all have a lesson to be learned from this branding. It revolves around the idea of giving something of substance and value to your consumer, for them then to give back to you. It is a back-and-fourth that echoes the future of the industry and Red Bull seems to be carving the way. By now, we as marketers have all been told we need to produce strategic content to engage our customers and really drive sales. My friends, Red Bull is dwarfing us all. They tweet over 200 times a day. They don’t just have a blog tab on their website, but rather there whole website is content (literally try to find advertising for their products, you just won’t). They have cemented their place. Learn from Red Bull and invest in your future. Keep investing profits back into marketing to ensure the longevity of your brand. Whether it’s the extreme sports competitions or the Red Bull Media House, Red Bull has invested capital and resources and made their brand recognizable in a noisy marketplace. Red Bull will, for the inevitable future, continue to be a big player in the extreme/action sports industry. Oh yeah, and the energy drink industry. Here’s a look at my favourite Red Bull piece, The Athlete Machine. Make sure to keep a tab on the Red Bull marketing feed and look out for their next extreme stunt! Content Assistant – Mark Colvin @mcolvy.